The wild, wild west internet days of no one being GDPR compliant are coming to an end. By tomorrow, everyone with customers or clients in the EU, regardless of industry, must be GDPR compliant. Lucky for you, we still have codes for a tool that will make this whole process a lot easier: the GDPR Tracker. The GDPR Tracker takes you step by step, showing you how to document your internal and external data flows so that you are closer to being GDPR compliant. Using the GDPR Tracker usually costs $429/£299 a year. However, Sumo-lings, you can get lifetime access for just $49! Lifetime access to the GDPR Tracker is essential because the GDPR is not going anywhere. So every time policies change, or you start a new business, you won’t miss a step. Manage multiple businesses from one GDPR dashboard by stacking codes at checkout. You better be quick, though. Codes will be gone soon. Start using the GDPR Tracker now! 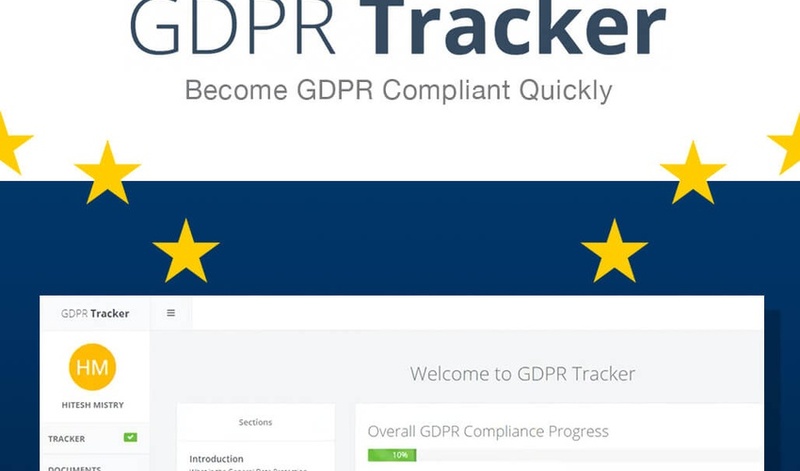 The GDPR Tracker provides you with detailed regulation information, security suggestions, and ready-to-fill in policies and templates — making the process less intimidating and more straightforward. In the end, you’ll have a downloadable PDF that shows everyone how seriously you take the GDPR. While you should consult with a lawyer to ensure you are completely GDPR compliant, the GDPR Tracker will maximize self-efficiency and lessen the number of billable lawyer hours. Stop wondering where to start and let the GDPR Tracker tell you! Grab lifetime access to the GDPR Tracker now!